GPL EDEN HEIGHTS, Gurgaon has completely transformed the way 2 bedroom apartments, 3 bedroom apartments and 4 bedroom apartments used to be. 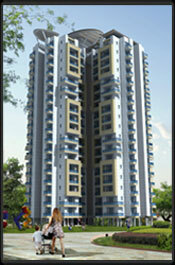 These apartments are one of the finest apartments in sector 77, 70 Gurgaon. GPL has made sure that any housing complex they build it should have apartments with ample parking space and also apartments with ample space in it. If today anybody is looking for 2 bedroom apartments in Gurgaon, 3 bedroom apartments in Gurgaon or 4 bedroom apartments in Gurgaon, GPL Eden Heights is the perfect choice for them. Today having a own house is not a dream anymore if you look out for a dream apartment in Gurgaon because of GPL infrastructure..